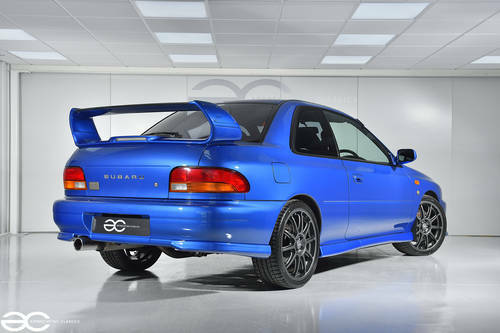 A very sought after Subaru Impreza P1 – this being number 555 of only 1000 produced. Being number 555 is a lovely touch, being the sponsor for the Subaru WRC team, and a number that is highly associated with Subaru and WRC. 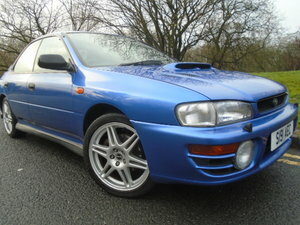 Purchased new from Monks Heath Motors (Subaru Dealer) by Mr Sherratt. 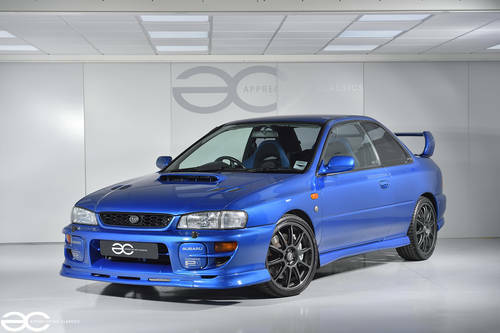 The addition of a few options, being the larger 18&#8243; alloy wheels, Prodrive 330mm front brake upgrade and fog lamp covers, made this an extremely special car when ordered new. In 2007, Mr Sherratt sold the car to Mr Ghumra, who owned the vehicle for only 7 months, before selling it to Mr Smith in 2008. The car remained with Mr Smith until we purchased the vehicle recently. 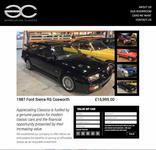 The car has clearly been owned by enthusiasts only, with the low mileage and great condition being evident. After very little use in 2010, Mr Smith decided to put the P1 away and it has remained stored (except for a couple of MOTs) since then. We have just had a major service and full check over carried out by one of the UKs leading Japanese car specialist (Automotive Performance Tuning), along with a new set of Goodyear Eagle F1 tyres fitted. You can rest assured this car has been cherished, and wants for nothing. As you would expect from us, this car presents extremely well. We have had the paintwork professionally detailed, and it looks simply superb. No corrosion anywhere on the car, and the front is is great, undamaged condition. A few small marks on the drivers side skirt do not detract from the overall stunning condition. The wheels have just been professionally repainted in the Titanium finish (the wheels were not damaged – they were previously Gold in colour) with new genuine centre caps fitted. This means the wheels are unmarked. With no modifications, this P1 is still pure to its roots, and demands very positive attention when on the road, with admiring looks, thumbs up, and many complimentary comments on the condition and rarity. Again, the interior of this P1 is totally original, and in great condition. Everything works just as it should do, with all switch gear being in great condition. The seats are again in fantastic condition, with no rips or tears, no bolster wear, and the centre’s still presenting nicely. Again, the original steering wheel, gearknob, handbrake handle and pedal rubbers are all in very good condition. None of the usual scratching to the centre console area, and a badge stating its correct number 0555/1000. A very pleasant place to be, and a great car to drive. Having just had a full service, including cambelt, the car runs very nicely. The car starts from cold perfectly, and idles nice and quietly. No smoking, either on start up, on boost or on over run. 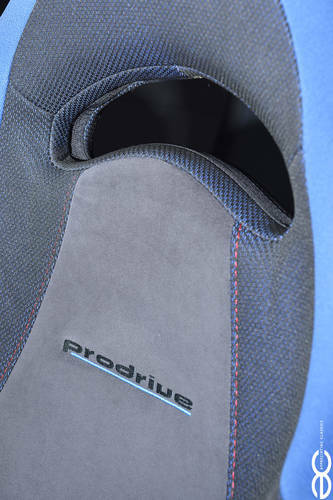 Once warm the car offers fantastic performance, with a smooth power delivery throughout the rev range. With performance figures that are still very respectable today, the P1 is a fantastic car to drive, and it is easy to appreciate why they are fast becoming a very sought after modern classic. As previously mentioned, with the car having had a full service, all running gear has been checked over, and new premium tyres have been fitted also. 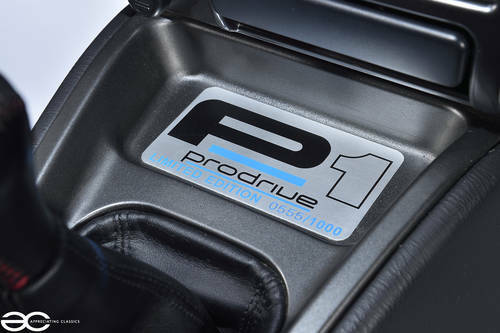 When the P1 was originally released the only point which fell short in reviews was the brakes, so a Prodrive Alcon fronbt brake upgrade became an available option. These brakes perform extremely well, very effective and pull nice and straight. The handling is very impressive, even when compared to modern hot hatches. 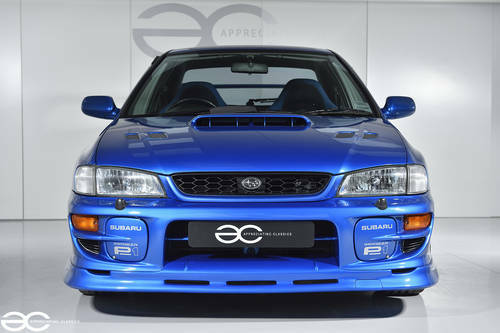 A thrilling car to drive, and in show ready condition.